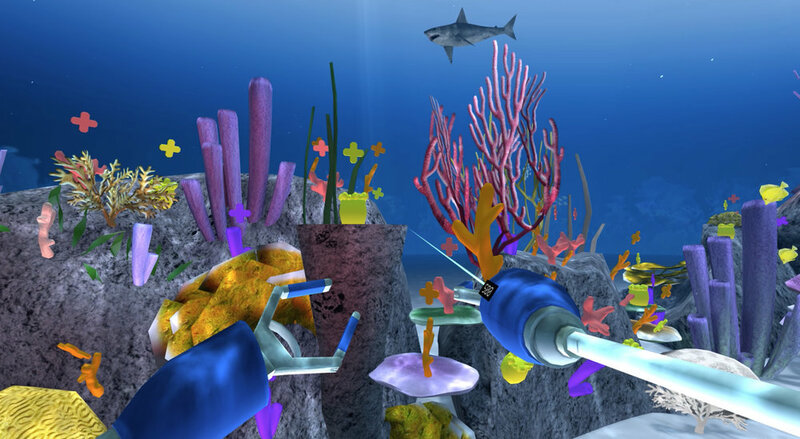 Fun for the whole family, Reef Rescue is the world’s first high capacity, interactive virtual reality experience! 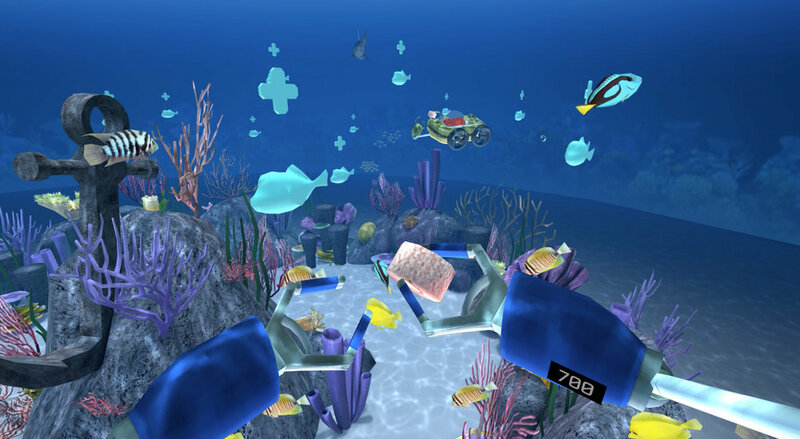 You’ll take a virtual dive into a beautiful 360° coral reef environment with up to 15 other people. And together, you’ll all blast away trash, plant coral branches, and feed fish, restoring the reef to perfect health! Before the dive, you’ll meet Sting and Bob, a ray and a triggerfish, in their undersea home at the Great Barrier Reef. They’ll explain what corals are, how important they are to the global ecosystem, and why reefs in every ocean are threatened. 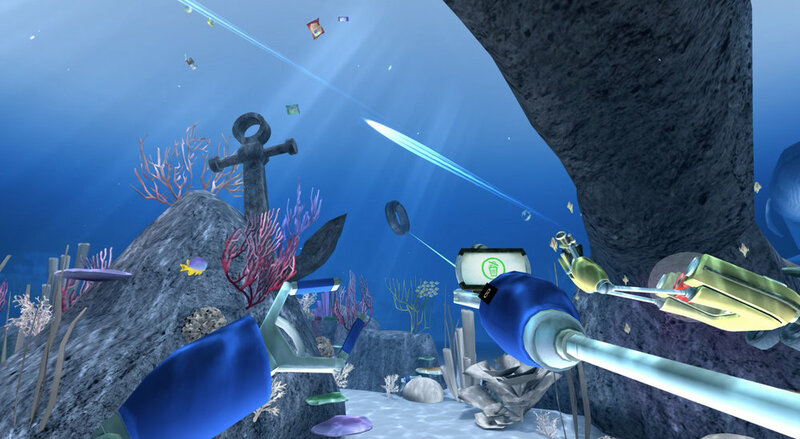 Then you and your friends will don your “diving masks” and train to become Reef Rangers! 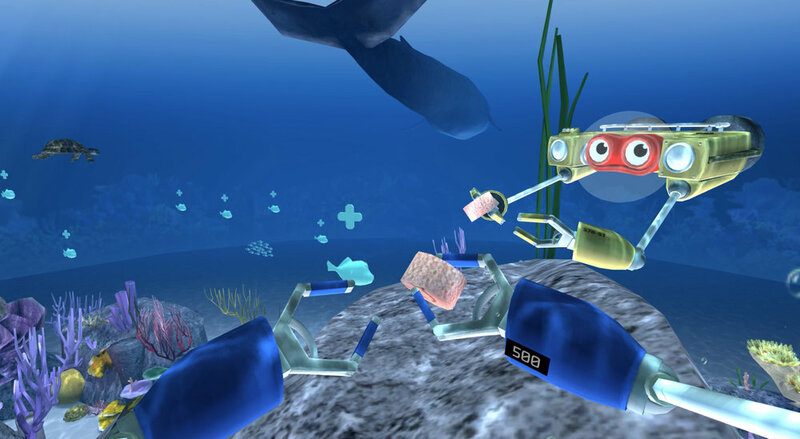 You’ll use the mask and a hand controller to pilot your own R.O.V.E.R. (Remotely Operated Vehicle for Exploring Reefs) mini-submarines! Everywhere you look, you’ll see a kaleidoscopic variety of marine life: corals, schools of exotic fish, even a magnificent whale! You’ll even see the other players’ R.O.V.E.R. mini-subs in action! Keep your eyes peeled for great white sharks… they’re always looking for their next meal! As soon as your training mission ends, you’ll find out who scored the most points! Think you can improve your score? Then come back for another dive any time! Once the mission is over, you’ll learn how you can continue protecting our reefs back on dry land! Reef Rescue: there’s nothing else like it on earth… or under the sea!